Coral Springs, Florida, is a lovely city in Broward County approximately 20 miles northwest of Fort Lauderdale. The master-planned city was officially chartered on July 10, 1963, primarily developed by Coral Ridge Properties. Before it was incorporated is was part of 20,000 acres of primarily marshlands. Following multiple floods in 1947, canals and levees drained the area, allowing Coral Springs to be built. Coral Springs grew quickly from 1970 to the 1990s and has a current approximate population of 130,059 residents. Cultural Coral Springs adds to the diverse artistic experience of South Florida. The Coral Springs Center for the Arts houses a performance theater and art museum. The Coral Springs Museum of Art is found inside the 30,000-square-foot center, offering open architecture and displays the passion and beauty that is part of visual arts, holding fast to their philosophy that art is for everyone. The beautiful Coral Springs area includes the Sawgrass Nature Center and Wildlife Hospital. The nature center was set up where people can observe native plants as well as the mammals, reptiles, and birds in beautiful South Florida. There are two buildings in the center. One is a multi-purpose room that boasts a gift boutique, meeting room, and offices. The other is a wildlife hospital where animals are first treated, then rehabilitated and released back into nature. Those that can’t be released, as well as exotic animals, are on exhibit for viewing. Programs and group activities are also held as part of the goal to teach people about the land and animals of the area. 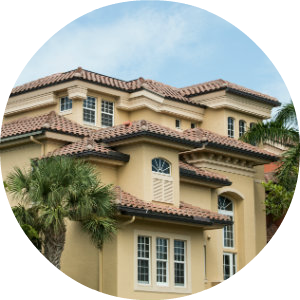 The diverse Coral Springs real estate is a reflection of the many neighborhoods and the growing community. Whether you are looking for a ranch style home, a Tudor home, or a contemporary modern home or townhouse, then you will have many options from which to choose. This planned community boasts lovely lawns, well-kept streets and area parks and playgrounds for families to take advantage of. 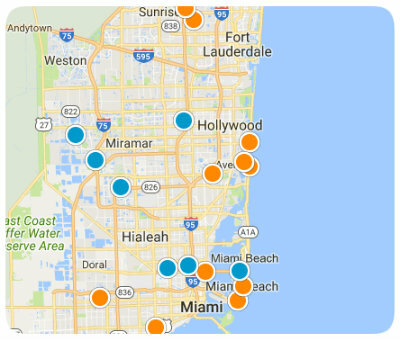 Schools in Coral Springs have good ratings, and there are plenty of shopping and dining in the city. When you consider the many local amenities, the great cultural opportunities as well as the beautiful land, then those looking for homes in South Florida will see this as a great option. 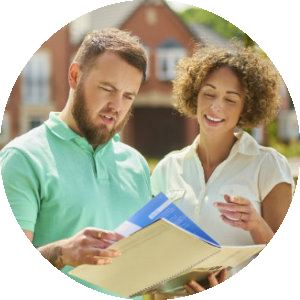 If you would like us to supply you with more information on homes for sale in Coral Springs, Florida, contact us today. We would be glad to assist you. Coral Springs County Club Bldg.